A woman's metabolism slows down after menopause. Maintain a daily routine of exercising to burn the calories. Drink as much water as possible as it boosts the metabolic processes. Eat a healthy diet to ensure that you don’t accumulate unnecessary fat. Menopause or the cessation of menstrual cycle, which occurs at around 50 years of age, calls for several changes in hormonal levels. One of the common concerns of menopausal and postmenopausal stage is the difficultly to lose weight. It is important to get rid of fat accumulated around the abdominal area as this puts women at risk of medical conditions such as heart diseases, high cholesterol, breast cancer, high blood pressure and diabetes. 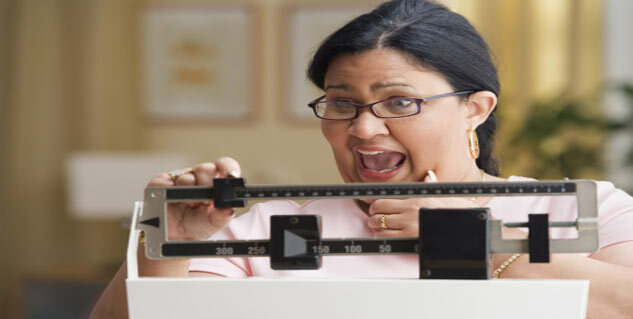 Losing weight after menopause, which causes a shift in the body weight, is a difficult task. Here is how you can lose weight post menopause. A woman's metabolism slows down after menopause. Portion control should be the approach to deal with the change as metabolism works quite well on less fuel. Eating a combination of carbohydrates, fats and proteins help a great deal in portion control as it keeps one satiated and reduces food cravings. A weight-loss diet after menopause must consist of various fruits, vegetables, whole grains and low-fat dairy products. Refined sugars and processed foods must be avoided. Maintain a daily routine of exercising to burn the calories. To stay active, include 30 minutes of walking, brisk walking, swimming and bicycling as a part of your daily routine. Drink as much water as possible as it boosts the metabolic processes. Speeding up metabolism not only assists in burning calories but also makes one feel full for long. Eating food slowly will send a signal to your brain that your stomach when is full. Reduction in calorie consumption will eventually help you lose weight. Regular exercises should be combined with a healthy diet to ensure that you don’t accumulate unnecessary fat. Crash diet for weight loss may starve your body of nutrients and must therefore, be avoided. Some women can lose weight by making changes in their eating habits while others may have to get a diet chart made by nutritionist and consult exercise physiologists. If you are finding it difficult to cope with weight gain after menopause, it is advisable to get support from your family and friends or your doctor.